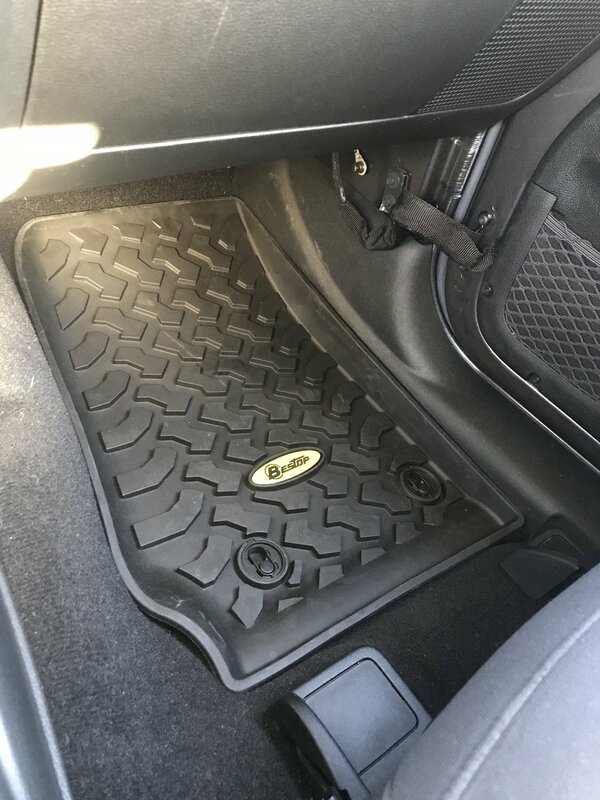 These new contoured, precise fit floor liners are perfect for all season protection and are constructed of superior TPE material that outperforms cheaper liners in extreme conditions. 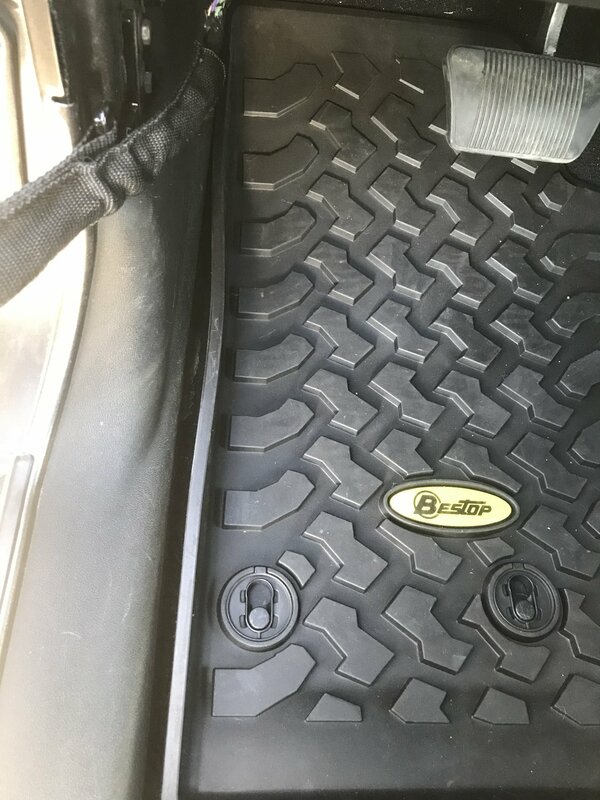 The tall 5/16" treads minimize slip while the raised edge lip holds up to 40 more liquid and helps channel mud away from shoes. Features standard floor hook cut-outs with raised walls to snuggly fit the factory floor hook. 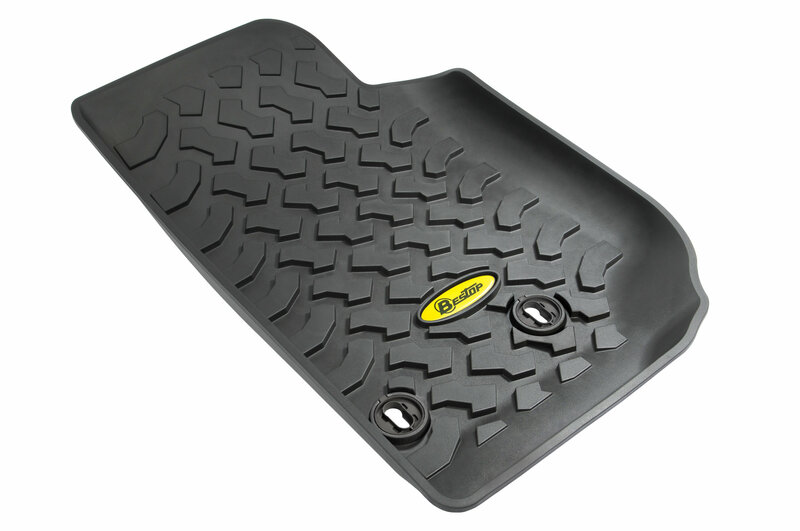 The molded carpet grabbing nibs help secure the floor liner to vehicle's carpet. Limited Lifetime Warranty. 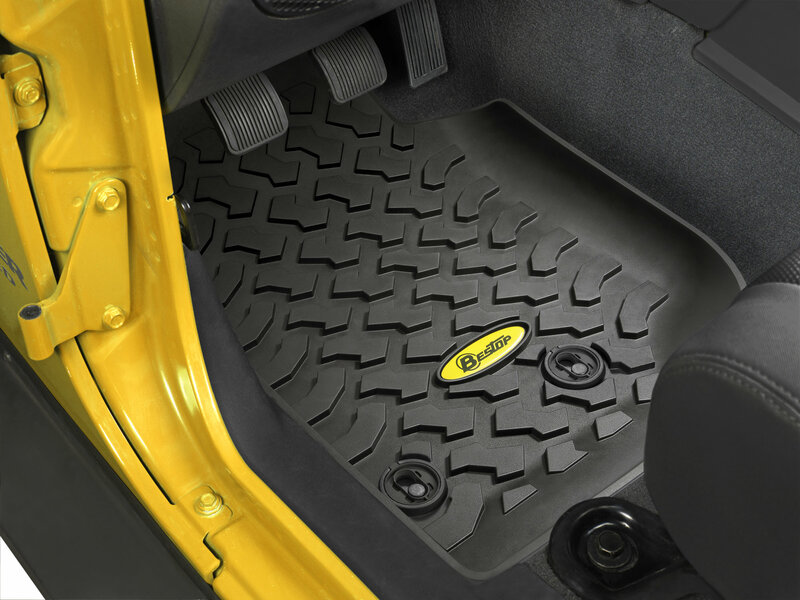 Installing any liners not intended for a 14-15 Wrangler on a 14-15 Wrangler may result in a dangerous condition. Satisfied with the look and feel, but slightly disappointed in the fit on the driver’s side. There is a small gap where dirt, debris, and moisture can collect, as you can see from the pictures I submitted. I have a 2016 JK, for reference. Overall I am happy with the product; the rating would be a 5 if it weren’t for the gap.